Montone is a hilltop village above the Tiber Valley in Umbria. 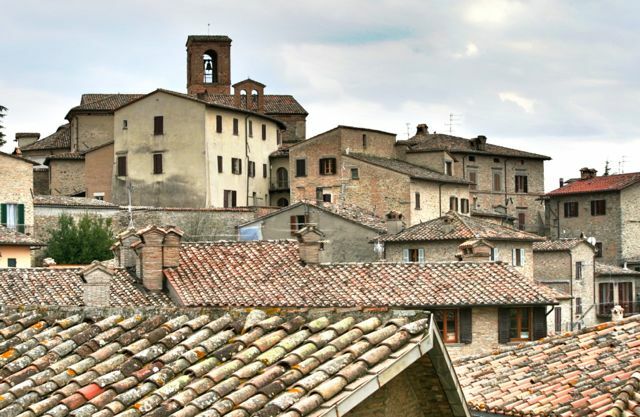 It’s close to most of our villas on the Tuscany Umbria border and definitely deserves a look. There are several restaurants in Montone and a couple of bars in the piazza, as well as a small museum in an old monastery, I usually go there for a look around or for a drink at the end of my Montone Walk which you can find in my book, Circular Walks On The Tuscany Umbria Border. Here are some of the photos I took while having a look around Montone on a cloudy afternoon last week, I hope they inspire you to go there.